Ablation is the gold standard treatment for wrinkles or scars. “From light lunchtime” peels to full resurfacing, no method offers better results. Procedure volumes are set to grow dramatically as users better understand cosmetic benefits. Laser resurfacing has stood the test of time for many cosmetic concerns, including fine wrinkling around the eyes, forehead, nose, and mouth as well as the lingering effects of chicken pox, acne scars, superficial pigmented lesions, and other surface abnormalities. No other procedure is as flexible in its downtime and outcomes. This characteristic makes resurfacing a popular method of treating surface concerns. 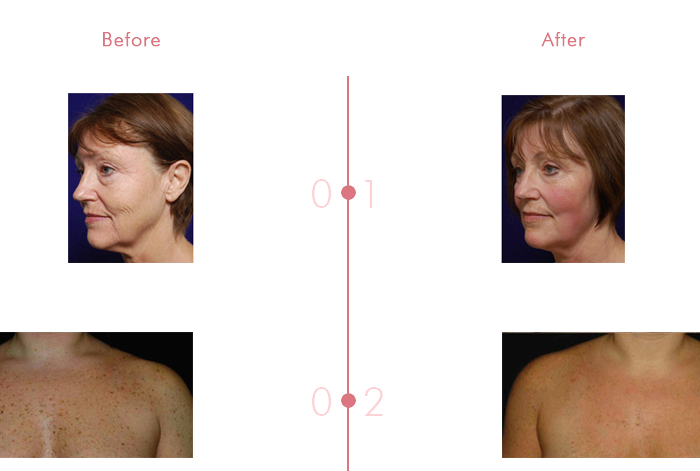 While non ablative treatment target deeper structures, ablative treatments target treat right at the surface. Superior treatments are enabled by adjusting energies to match trade off between patient’s desired outcomes and downtimes. They are also enabled by choosing spot sizes that enable precise sculpting of scars and wrinkles.